Sofia Van Schoick, 2, was found dead after being stuck outside her home in the freezing cold. A TWO-year-old girl has been found dead in her own back yard after being trapped outside in her pyjamas as freezing conditions sweep the US. 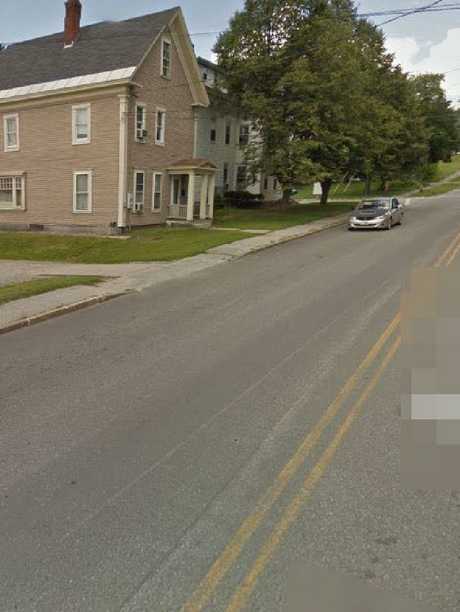 Police in the small town of Newport, New Hampshire on America's east coast were called at 7am on Monday morning after a neighbour spotted the body of a girl steps away from his house. Shane Rowe and his girlfriend saw "a little girl next to the bottom of the stairway". "I said to myself, 'I hope that's a doll'," Mr Rowe said later, according to local TV station WMUR reported. "My girlfriend came out, and she ran out and she went over and saw that she was actually a child. "She banged on the door to alert the parents." Tragically, it was the body of toddler Sofia Van Schoick dressed in her pyjamas. Paramedics could not revive the little girl, who was pronounced dead at the scene. Mr Rowe said he and his girlfriend had woken early on the same morning, about 4am, and heard a child crying outside. But they couldn't see anything, and went back to bed. Brutally cold weather has been sweeping the US, with the disintegration of an Arctic polar vortex unleashing even lower temperatures across the eastern US states. 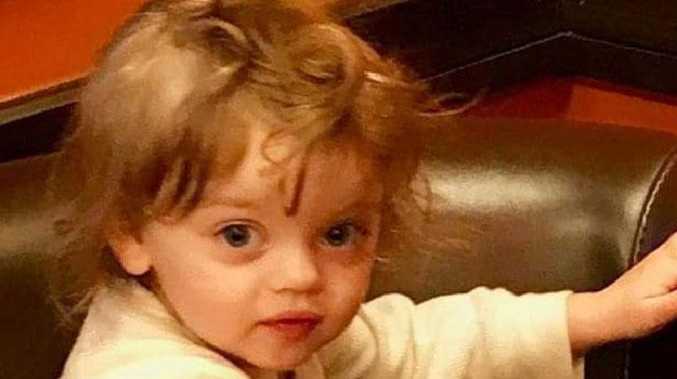 A neighbour found the body of Sofia Van Schoick, 2, dead at the bottom of his stairs in her pyjamas after the toddler became trapped outside overnight. Sofia Van Schoick was found frozen in her pyjamas. 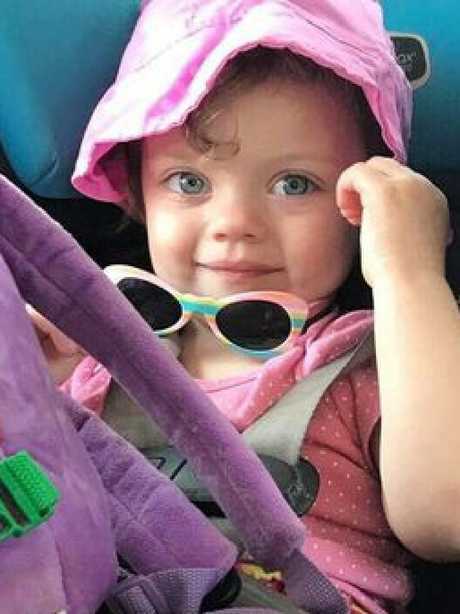 After discovering the little girl's body, Mr Rowe told Sofia's mother, Courtney Van Schoick, who scooped up the dead toddler's body and called 911. "Newport emergency personnel responded and found she was not responsive and was found to be deceased," Newport police chief James Burroughs said. 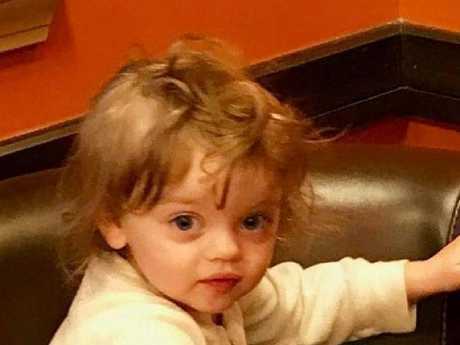 Sofia's grandfather, Lindsay Van Schoick, said that Sofia, her twin brother and their pregnant mother had only moved to Newport a few days before. Mr Van Schoick said Sofia often got up in the night and wandered around the house, and she might have become disoriented in her new home. 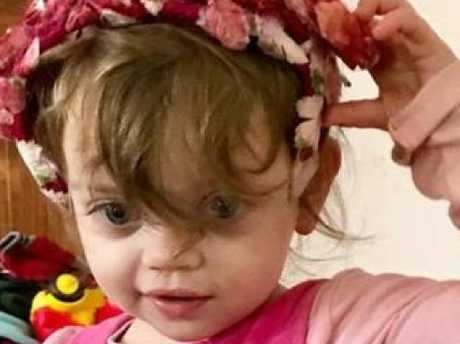 Sofia Van Schoick, 2, was described as ‘smart’ and ‘precocious’. Sofia's aunt, Kait Verkest told WMUR she had received the "phone call that will be ingrained in my mind forever". "My dad called me. I ... told him I'd call him back, and he said, 'No, you need to take this phone call. Sofia is dead'," Ms Verkest said. Mr Rowe said the death "would be devastating" for the little girl's mother. Courtney Van Schoick described her late daughter as "the happiest and smartest toddler you would have ever met ... she's so loved and missed". Ms Verkest said her sister, was going through "a lot of blaming herself". "It's so very easy for people to judge ... but this is a tragedy that could happen to anyone." Police say preliminary autopsy results show Sofia died of exposure and hypothermia. A memorial of flowers and mementos left by locals in the town has grown at the bottom of the stairs where Sofia was found. The New Hampshire neighbourhood the family had just moved in.